Results of a recent study published in the British Medical Journ al show that work stress is associated with double the risk of death from heart disease. In promoting cardiovascular health, the traditional advice has always been for people to stop smoking, limit alcohol intake, eat less fat, and get moving through physical activity. These latest findings suggest that attention should also be paid to the prevention, mastering or management of work stress, according to the research findings. Cardiovascular disease is the leading cause of death in modern society. Employees with high job strain, acombination of high demands at work and low job control, have high stress levels and more than twice the risk of death form heart disease compared with employees who have low job strain. The stress levels and risk for employees with effort-reward imbalance (low salary, lack of social approval, and few career opportunities relative to efforts required at work) were 2.5 times higher. High job strain also showed an increased total cholesterol at the 5year follow up, while effort-reward imbalance showed an increase in body weight. The type A personality behaviour, encouraged by today’s rushed, hurried lifestyle with its emphasis on material wealth, competition, secularisation, instant gratification and brownie points for perfectionism and workaholism, is as a single factor a bigger risk for heart disease than all the other risk factors of high cholesterol, high blood pressure, obesity, smoking and lack of exercise, combined. Type A behaviour is characterised by those who drive themselves and others hard, who regard time as an enemy to be fought, who also manifest disproportionate irritability with ordinary human mistakes, free floating hostility and hyperagressiveness. People with this dominant stress prone personality style, carry huge amounts of stress around within themselves, making them especially prone to heart disease. All these are stressors or triggers for the stress reaction where the heart and cardiovascular system are constantly put in red alert to react in the classical stress response of fight or flight. This does NOT imply that you CAUSE your disease on purpose! The process occurs on a deeply unconscious level in cell memories. You can however, become consciously aware of these issues and through process work, workshops and counselling, help your inner self to heal, leading to personal core power and inner peace. A positive family history and symptoms like shortness of breath, fatigue, unproductive chronic cough, blue or painful extremities, extreme sensitivity to cold, leg ulcers, swelling of the ankles, pain over the chest, left arm or up the neck at rest or during exertion, have to be thoroughly evaluated with a complete physical examination, basic blood tests (cholesterol screening, homocystein, blood glucose, thyroid function, etc.) as well as an exertion or stress electrocardiogram. The natural approach to the management of heart health, are aimed at improving energy metabolism inside the heart and blood supply to the heart, while releasing and surrendering blocked energy inside the body, emotions and the mind. Note: A thorough heart evaluation should form part of everybody’s yearly preventative medical examination, whether or not you have symptoms or a positive history. Once risk factors or existing pathology has been identified, a personalised health management program is essential. Simply treating the symptoms, will never cure the reason for developing the health problem in the first place. These nutrients ensure the conversion of homocystein into beneficial antioxidants. People with a genetic tendency for high homocystein levels, often have a deficiency of these nutrients. An antioxidant combination with vitamins A, E, C; minerals zinc, selenium, copper; bioflavonoids from fruit, herbs and vegetable extracts; or eat 5-9 portions of fresh fruit and veges every day. Research shows the following: 400 IU’s Vitamin E per day lowers the risk for a heart attack up to 77%. 100 IU’s per day, lowers it by 43%. Stress management is of the utmost importance to maintain health and wellbeing and restore a sense of serenity and peace while maintaining your creative, productive, high profile lifestyle. Stress accelerates your heart rate through secretion of the adrenal stress hormones adrenalin, noradrenalin and the longterm stress hormone cortisol. In all cultures and religions, the experience of peace, love, healing and harmony is seated in the heart and thymus (important immune system gland behind the heart) region in the chest. Research now shows that the heart does have an effect on our health and happiness. If, for instance, you focus on or visualise feelings of love, peace and gratitude, your breathing and heart rate slow down, and become synchronised and harmonious. Meditation has a similar effect. Feelings of love also have a positive influence on the immune system, hormones and cognitive brain function. love and intimacy (from close relationships). Research has shown that people in Japan and France have very close family and friendship ties, signifying the perception they have of a support system in times of trouble. Lack of love and intimacy has been shown to be one of the most consistent predictors of heart disease. Even some of the other risk factors can be attributable to lack of social interaction and feeling isolated and alone. People smoke, drink, or overeat as an ineffective, harmful way of stilling the mind from the stressful monkey chatter, to try and prevent the emotions from surfacing. The countries around the Mediterranean Sea also have a daily siesta time after their phyto (=plant) nutrient, fish and olive oil rich lunch as part of their cultural habit – this lowers stress levels by allowing the parasympathetic nervous system to re-balance the sympathetic or stress nervous system response. Specific exercises focused on the heart, such as the full yogic breath, Child and Hare position, moving forward into Cobra, resting in Sphinx and Crocodile, neck and shoulder rotations, chest extensions combined with visualisations, etc. can be done. Refer to any beginners’ yoga book for instructions. Combine this with non competitive exercise like walking, swimming and dancing such as Nia. Try moving to music that resonates with your soul. Really listen to it, absorb the sound vibrations and move to your inner dancer. Exercise improves your mood, increases oxygen and nutrient supply to your heart and other cells and helps you maintain a healthy weight. If you’ve been sedentary for long, or have an existing heart problem, start gently with 5 minutes a day, gradually increasing to 30 minutes 4 times a week. Avoid straining and too many weight bearing exercises if you have existing heart disease and / or high blood pressure. Swimming and water aerobics work well to gently increase the supply of oxygen and nutrients to cells. Yoga, a slow gentle walk, Tai chi and dancing are all very effective ways to exercise. 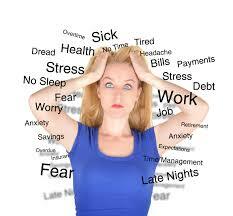 Identify body signals of severe stress: feel the grief, sadness, pain, anxiety, restlessness, insomnia, depression. Don’t always follow the first instinct of fear and try to suppress it – acknowledge and accept the fear, it is there as teacher to show you what the underlying feelings or emotions are. Use a journal to give voice to long suppressed pain and issues. Consult a mental health practitioner if painful memories start to surface. Bringing these to the light of the conscious mind will lead to healing, while keeping them buried in the unconscious mind will only lead to disease. Work on releasing past emotional injuries and hurts. Learn to surrender. Choose a community service where you can contribute your special gifts and talents. Choose something you really believe in with your heart and soul, and reach out to the larger community, nature, animals or the earth for the benefit of all. The heart’s healing colour is green – sit in the garden every day and watch the different shades of green, notice and feel the different textures. Contemplate nature.